Burger variations have GOT to be one of our favorites around here. 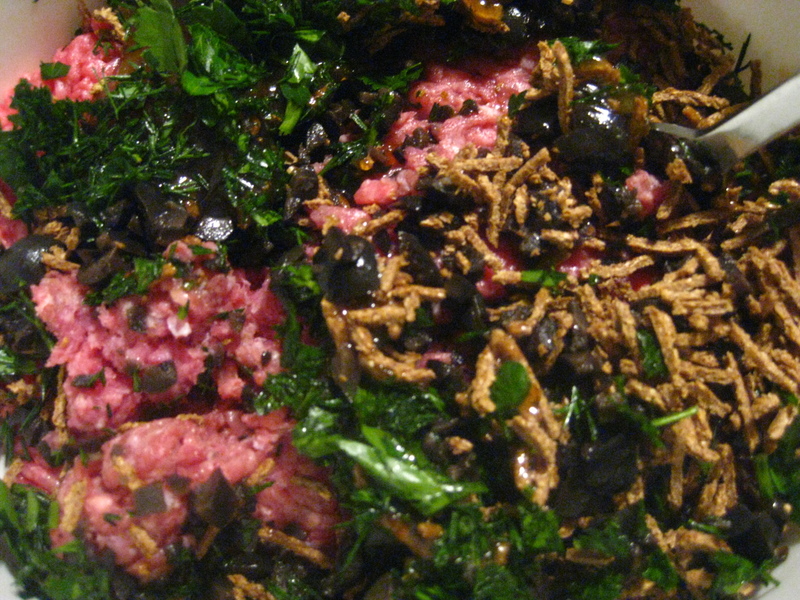 Most ground meat combos and some zesty add-ins make for popular meals to write home about. 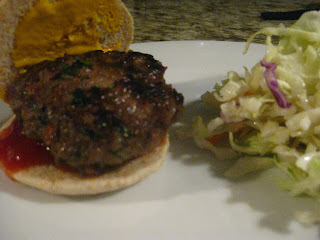 Tonight I made organic beef burgers: a combination of this beef burger recipe and this turkey burger recipe. 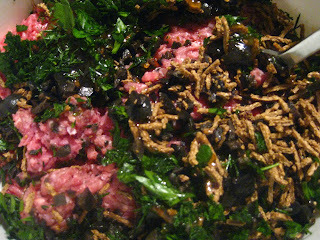 My key ingredients: organic ground beef, major grey chutney, bran cereal and my own twist: lots of fresh herbs...dill, parsley & cilantro were begging to be added. I'm not a food photographer but take my word, they were eaten!